I knew that my company is using VPN client as a tunneling when one wants to establish corporate link, but I thought that it was only meant for laptop connections. 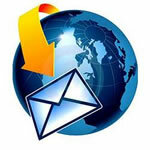 Existing webmail was not flexible enough and it only performed well on MS Internet Explorer on computer. There is no need to say that I was disappointed when I did not manage to establish connection after numerous tries and errors. But the solution came from the same person (The Boss) when he lost his BlackBerry and had to use HTC (Desire) as a company phone. where domain, username and pass denote corresponding company domain name, your personal username and password. Important! Each time when phone goes standby (locked) you will have to enter security PIN consisting of digits. 5. 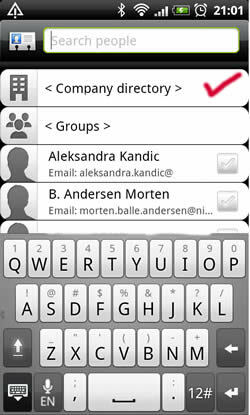 The best thing is that phone will connect itself on company address book; you could search it as you are directly hooked on company network! My suggestion is to define signature via Mail > More > Settings > General settings > Signature. Previous post: Vodafone: Get £50 Love2Shop E-voucher! Next post: New Year Clearance Sale at Mobile Fun!